Splice junctions are locations on strings of DNA or RNA where superfluous sections are removed when proteins are created. 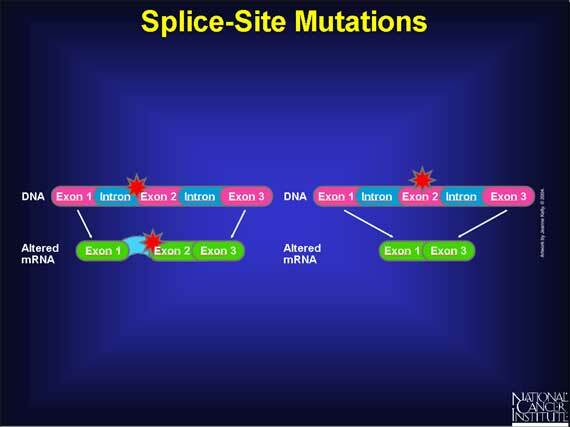 After the splice, a section, known as the intron, is removed and the remaining sections, known as the exons, are joined together. Being able to identify these sequences of DNA is useful but time-consuming. This begs the question: Can spliced sections of DNA be determined with machine learning? In the next two posts, we’ll try to do exactly that. To do this, we’re going to use the UCI Splice-junction Gene Sequence dataset. It consists of sequences of DNA that contain either the part of the DNA retained after splicing, the part that was spliced out, or neither. Our problem is to distinguish which of the cases this is. In this notebook, I’m going to focus on cleaning and preparing the data set. In the next, I’ll walk through logistic regression to show how it works. This dataset was prepared by the UCI Machine Learning Repository, so we can download it from their page and read it using pandas. Looks like we have only three different classes. Almost all the instances and sequences are unique though. Let’s look at the classes. Let’s see what our three classes are and how many we have of each type. The labels are currently strings of either ‘IE’, ‘EI’, or ‘N’. They’re well-balanced between EI and IE, although most of the samples are neither. To use these labels to train an algorithm, we’ll need to encode them as integers. Now our labels are an (N,) shape array of 0, 1, and 2. That’s all we need to do with them. Let’s dig into the instance names. Let’s look at some of them and see if we can find a pattern. Let’s look at the first 20 then another random sample of 20. It looks like we have a sequence of letters that often repeat in nearby rows; followed by one of the three words DONOR, ACCEPTOR, and NEG; followed by a number. We could parse the different parts out and use them individually as features. The dashes make this very easy with pandas’ built-in regular expression matching. That’s a lot. Sometimes with categorical data like this, we would use one-hot encoding, where we make each instance its own column and give the value of 1 if it’s that type and 0 otherwise. But that would result in a large sparse matrix. That’s not necessarily a problem, but we’ll put it aside for now but maybe use it later. Now let’s look at the donor part. OK, just the three we saw before. That’s good. Let’s encode these in our dataset using one-hot encoding. We could use SKLearn’s labelEncoder and then One Hot, but pandas has something called get_dummies built-in that works with strings. I don’t think the Instance_Number is going to help us, so I’m going to ignore it for the moment. Now let’s look at the sequence. I would assume the Sequence consists of only A, C, T, and G, but we’ll double check just to be sure. The first example looks good except for the extra white space. We’ll use .strip() to remove it. Let’s go through the rest. Let’s turn the pandas series df['Sequence'] into a pandas series of the set of each row. This will remove duplicate values. Find the union of the sets to show all the unique values. OK, we have a lot more letters than I expected. Let’s see how common they are and how they’re used. Only two instances, that’s good. Let’s look at one of them. Let’s look at the other letters as well. OK, there aren’t too many rows with these missing values. We could remove them, but if there’s enough information in the rest of the sequence to distinguish the class, we would be throwing away useful data. If there’s not, the instance won’t have much effect on the model. So we’re going to keep them in. The dataset claims that every row has 60 characters (30 before and 30 after the possible splice. Let’s check to make sure that’s true. Now we have the DNA sequences represented by a large string of letters. To use the sequence in machine learning, we’re going to need to remove the whitespace and separate each letter into a distinct place on a list. We’ll also need to convert the letters to integers. We’ll do that now. Now we’ve converted the letters to integers. We could continue with this and train the model, but that has downsides. Even though the values are integers, the data are still categorical because each number represents a category, not a quantitative or ordinal value. For example, A is 0, C is 1, and G is 2, but this doesn’t mean that A is closer to or more similar to C than it is to G. But our algorithm won’t know that and could be misled, thinking the data are quantitative when they’re not. To avoid that, we’ll use one-hot encoding. We have to be careful with data types. We currently have a bunch of integers inside a list within a pandas series. We want to split those lists so that each individual integer is in its own column. To do that we’ll convert the pandas series into an ndarray. Because we have 7 different categories (‘A’, ‘C’, ‘D’, ‘G’, ‘N’, ‘R’, ‘S’, and ‘T’), one-hot encoding will turn our array of shape (X, Y) into (X, Y * 7). Let’s check the shape now so we can compare. This array is ready to go. Let’s look at the labels next. I was originally going to combine the X_donor array with X_one_hot as the final X-values in the dataset. But after testing some models on it, it looks like the X_donor data too accurately predicts the label. Using just that information I can predict 100% of the labels, so the sequence data becomes meaningless. To me, that means that the Instance data shouldn’t actually be used to predict the labels. So our final dataset will just be the sequence data. Now we save it off into a csv file to examine in the next notebook.